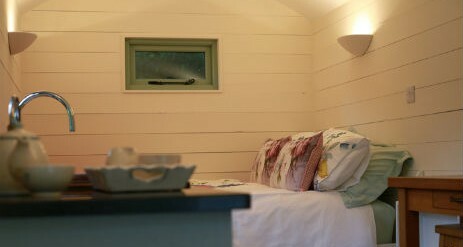 Enjoy the natural beauty Glamping in Cornwall in Jasmine a shepherd’s hut at Melody Farm. Set in the grounds of an eco retreat, Melody Farm’s Shepherds Huts offer a wonderful glamping resort with a little touch of style and luxury. Cosy and with designs that capture some rustic chic the huts make a unique glamping stay for those romantic breaks to Cornwall. 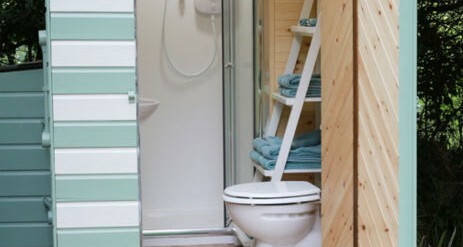 Each hut has an en suite bathroom, so you can enjoy complete comfort and privacy. 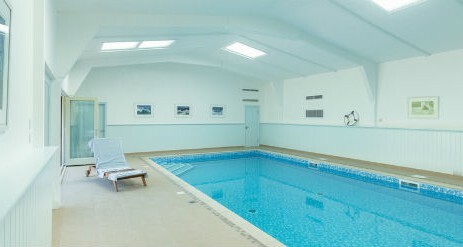 Set in an orchard you can stroll the large grounds and enjoy star lit nights far from the worries of your daily routine. 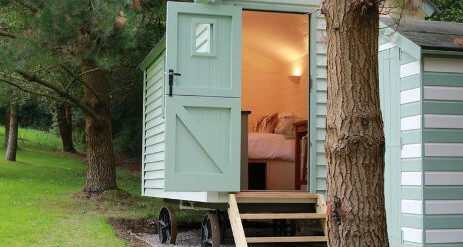 Your cosy shepherds hut Jasmine has one bedroom and makes a clever use of space. 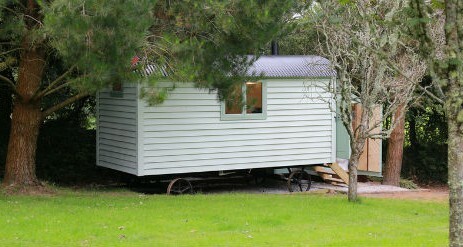 Cooking is in the chic small kitchen and also converts into a double bed for 2. Borrow the owner’s BBQ and dine out! If you can’t bear to leave your dog at home then he can stay with you in the Jasmine hut as well. 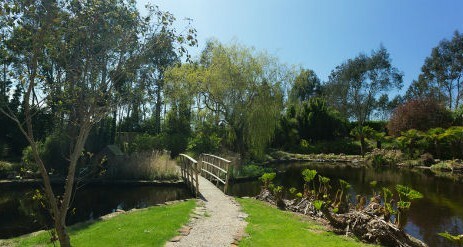 At Melody Farm you can meander around secret pathways admiring the beautiful garden, relax in the gazebo that overlooks the picturesque pond and take some well-deserved time out in this truly wonderful setting.